My husband and I went to the rock a hula show and had a great time! We decided to go with the dinner and a show option and the meal was very good! They give you plenty of food and your own spot at a table super close to the stage where you get a great view of the performers! When we went the performers were Elvis, Michael Jackson, and Katy Perry. The performers were all very good and super friendly, they came down to the crowd and shook hands and interacted with many people, you'll especially get a hand shake if you choose to be in the VIP section! Elvis started it off and it was pretty hard to tell the difference between his singing and the real deal. Michael Jackson was probably my favorite, sounded and actually looked just like him, and with him you'll also see a very authentic moon walk! There were big TV screens that came up and showed fun pictures of the real Elvis, Michael Jackson and Katy Perry while they all performed. Also there were hula dancers that performed during all of the performances and they were absolutely fabulous! At the end of the show, there was a fire juggler that came out and both my husband and I were awe struck by his performance! 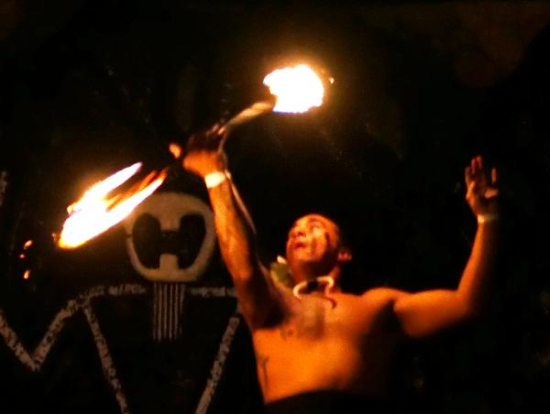 The way he was able to spin the sticks of fire was so amazing, when I think of Hawaii, this was definitely what came to mind! The staff was super friendly and very helpful, the service was quick and they could also whip up some delicious cocktails which just added to the fun! 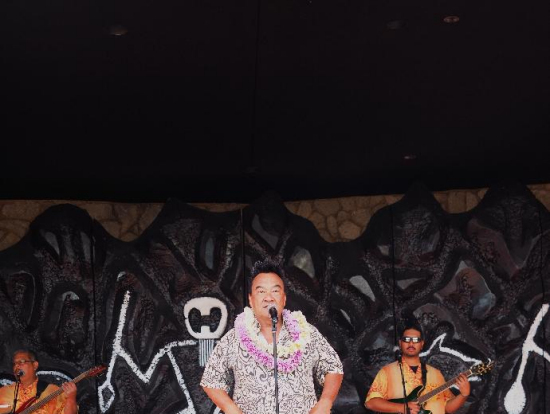 All in all we we're looking for just a fun night out and I love going to shows and this show definitely exceeded our expectations, I would recommend this show to anyone wanting to have a good time and see a truly authentic Hawaiian show! I went to the show with my parents and my husband. 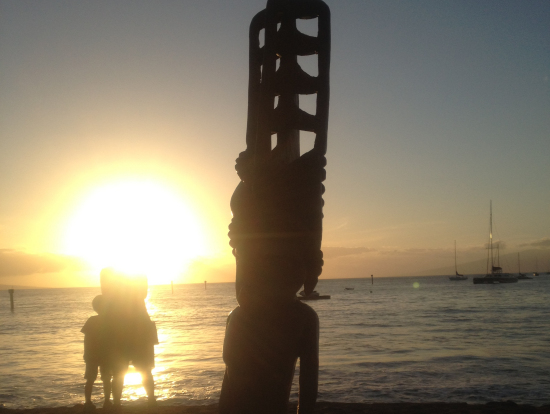 It was our first time in Hawaii, so we had little clue what to do, what to see and where to go. My parents found out about the show from some Korean TV show(they came from Korea) and told me about it, so I got the VIP tickets. We stayed in Waikiki so we could Walk to the theater. The producer showed us the behind scene such as dressing rooms and even let us walk on the stage. There was a Hawaiian Flame show(I don't know the official name). It was actually my favorite part of the whole show. I was thrilled. I wanted to take a pictures with him but only the singers were out waiting for the photo time. That was disappointing. There were a lot of Hawaiian dances. I thought the this Hawaiian dance part is something that I wouldn't be able to see in any other cities. And "Michael Jackson" had the same nose job as the real Michael Jackson. Haha. His moon walk was great. The dinner was served right before the show for about an hour and the food was very delicious. I was in the VIP seat so I was served the full course dinner. The dessert, molten chocolate cake with vanilla ice cream was heavenly. 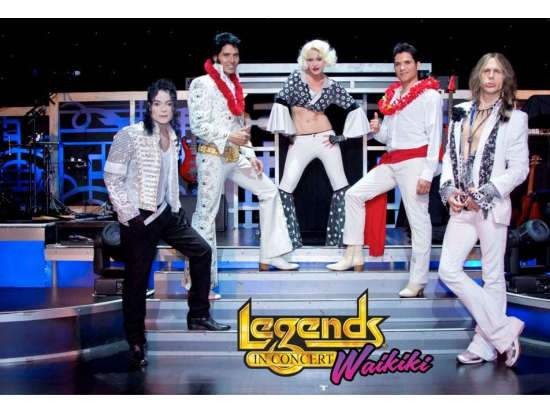 The only downside I thought about the show was the fewer numbers of the legend singers than I would like to see. I was expecting about five singers but it was 1 hour and 20 minutes show with three singers. I was just glad that my mom loved the show. She doesn't speak English but music doesn't require languages. It is all about the showman ship and atmosphere. Overall it was a good show and I recommend this show to everyone! Rockahula great show Elvis was amazing. Michael Jackson was fabulous. Katie Perry sounded like her. Your dancers were fantastic. Two were noticeable and made you want to dance. The two who did surfer girl song. Both of these dancers had high energy throughout show. She was a red head and he had a man bun. Fire dancer was awesome and put on unbelievable show. He danced like he enjoyed what he did. We were so close we could smell the gas Costumes were beautiful. 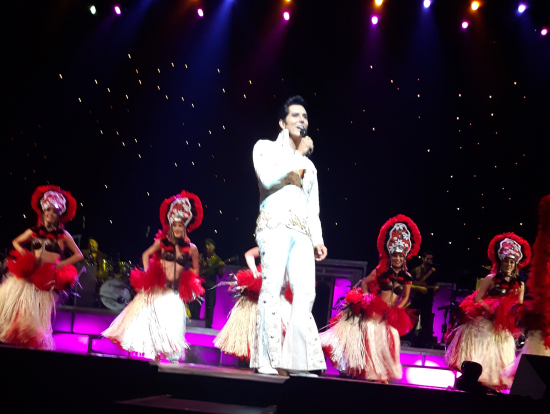 The last show was amazing in the red and black with Elvis in his white suit. When Elvis came out the first time it was like looking at Elvis from the 60's and he did such a great job. 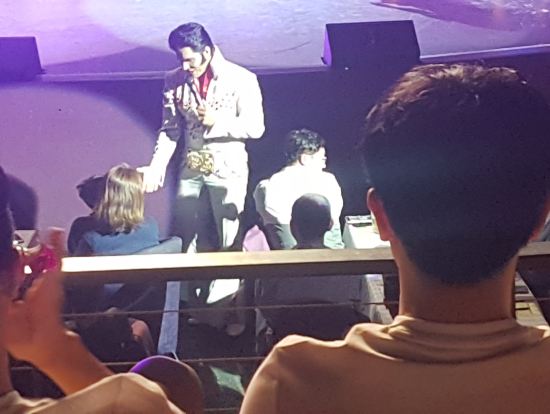 Elvis sang the best songs and the guests and audience were thrilled when he came out and interacted with the guests. All performers interacted with the guests at some point. We had front row seats but there is not a bad seat in the place. Service was good. Lots of food , presentation was nice. Food was good, the salmon was a little too salty, steak was cooked to perfection. Evan our server was great , and very attentaive. Staff was attentive. We met Anthony the bartender at the end of the show continuex to offer us drinks and iffered great service. Can't say a bad word about the terrific service, we received the best service from all the staff. Performers met guests at the end and took pictures with many if us and chatted with us. Great overall experience. Fabulous Dinner and Awesome Rock-A-Hula Show!!! We purchased Green Room tickets and the whole experience was wonderful. We were met at a special entrance door by friendly staff and were directed to the back stage area for a tour there. The tour host was a very nice fellow who showed us the entire back stage set up with props, costumes, and lots of other interesting equipment. 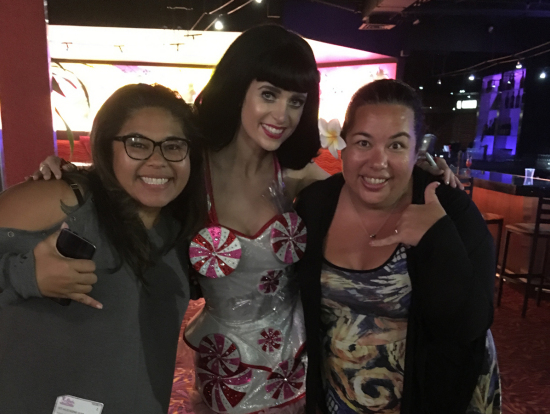 We then met Katy Perry (very hot) in the Green Room for champagne and snacks prior to the mean. It was a large First Class room where we spoke to other guests and relaxed with drinks before dinner. We then proceeded to have dinner and wine right in front of the stage. The lobster and steak dinner was super. Again wonderful service. 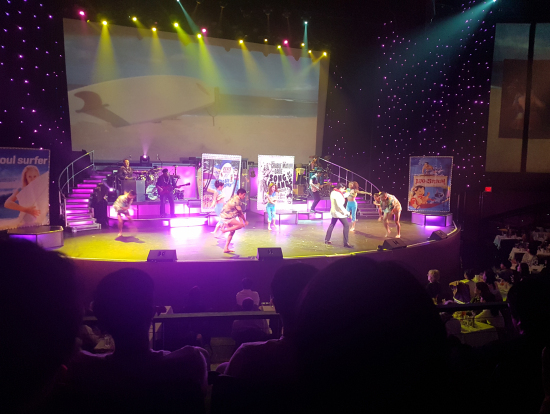 The Rock-A-Hula Dinner Show was very enjoyable, especially at the best seats in the house! Elvis was quite good. Katy Perry was even better. Katy looks so much like the real singer it was amazing. The dancers and singers surrounding them were beautiful and wonderful as well. Then Michael Jackson rocked the house. Of course the dancers with Michael Jackson were amazing as well. Everyone rocked along with them. The Fire Dancing was also so well done as was the great Hawaiian theme dancing. All the dances were so well choreographed and performed that it was indeed breathtaking. Everyone had a great time at this wonderful, classy, and professional show. We will go next time again when we are in Hawaii !!! Very recommended to see!!! Inna and Dennis with Lovely and Amazing Katy Perry. Best Magic Show in Hawaii!! My fiancee and I attended this event together. We checked in at 7pm and show started at 7:30pm. The location is very centric in Hawaii. 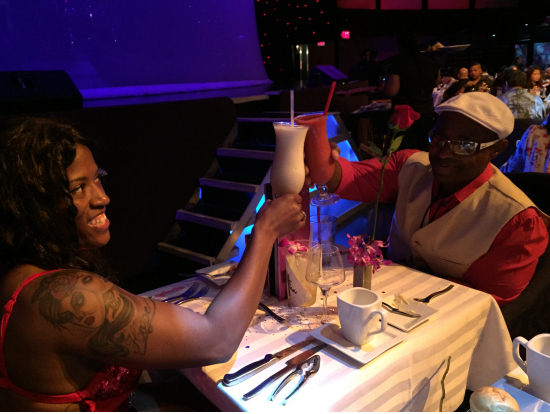 We did not do the dinner show but they had great drink choices during the show! My fiancee had the Magical Mai Tai and I opted for a margarita. The show was amazing! The magic tricks were something neither of us had seen in the past. We are still on amazement on some of the tricks. The magician made the show not only amazing with his tricks but he also made it interactive. He interacted with audience and made it so funny to watch! We also loved that it was mixed with a polynesian show to fill in some time slots. The dancers were amazing! The length of show was perfect and did not feel like it went on forever. There were plenty of servers to handle the drink orders. The show is popular so it does get packed which is a good sign. The magician calls an audience members to participate during the show. Some were hesitant while others eagerly waited to participate. That made the show much more fu. Than normal. The ending to the show was very touching and it showed a soft side to the magician. We would definetely want to refer people to watch this show over & over again! You can't go wrong with this activity. If being entertained is what your looking for than look no further! This is the activity for you! 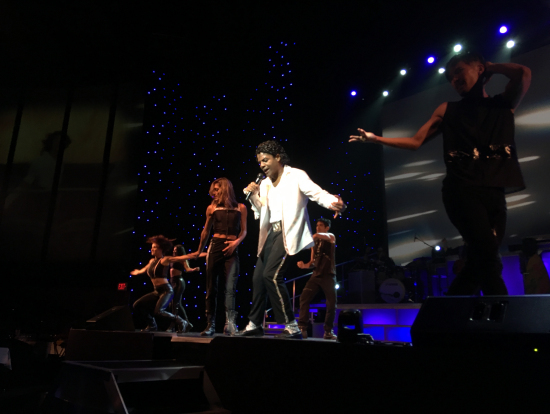 While visiting the beautiful Island of Oahu, I started to reminisce of the last time I came here and it was for the last Michael Jackson performance back in the 90's. I was searching for a dinner and show activity and I was fortunate that I came across hawaiiactivities.com - Veltra because they have a 2 For 1 Review Rebate Special. 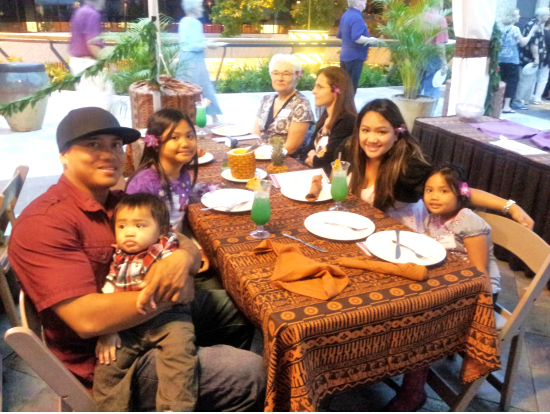 I was traveling with my family, and so we booked for the Green Room & Dinner Show package. 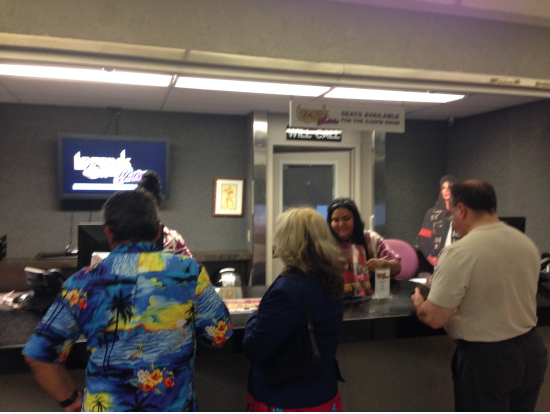 As we checked in at the Royal Hawaiian Shopping Center, we were greeted with warm alohas from everyone working. 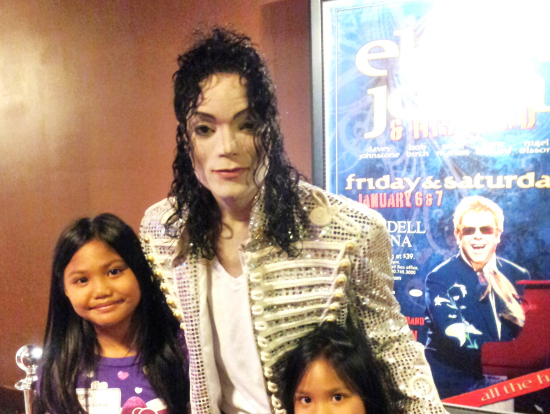 We started on an amazing tour of the theater and got to see some of the marvelous collections of Elvis and Michael Jackson. The dinner was amazing, and the we had the cocktails coming all night long. The show was amazing! It brought back many fond memories of my teenage life growing up listening to Elvis. I was having many flashbacks as I was singing to all the songs and rocking the night away. 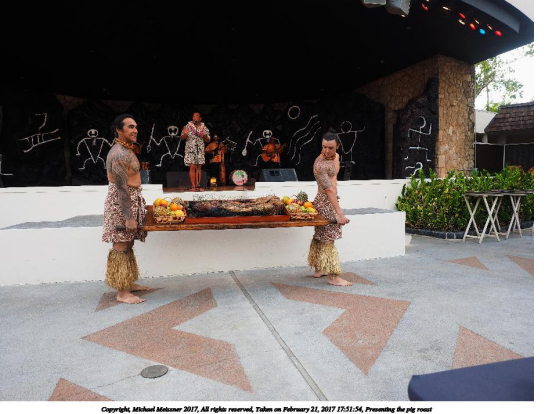 But unlike many shows in Waikiki, Rock A Hula has something special and particular to their show which is... Hawaiian Performances. 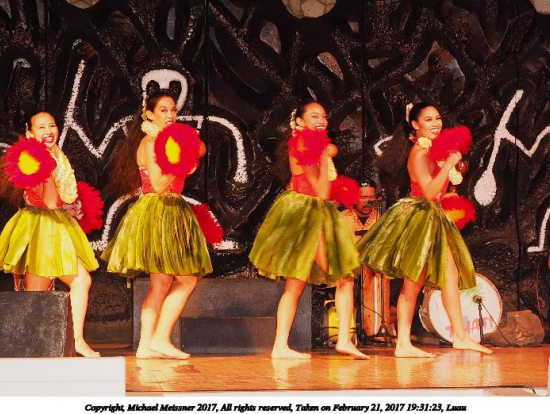 Hula dancers, chants, and acts that resembled Elvis's presence here in Hawaii while sharing the Aloha spirit. This show is highly recommended if you love old school pop and classical songs. Thank you Veltra & Stars of Paradise for this wonderful time I had. We went along to this night not knowing a lot about the performance, other than it was in a very convenient location for us and that it was a very reasonable price. 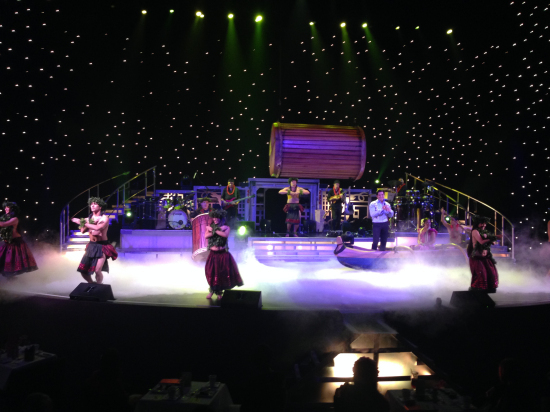 We left being blown away by the sheer professionalism, talent and wow factor of the performers and entire evening. The pre show dinner was tasty and filling, the service friendly & prompt. The show was in a lovely theatre with exceptional stage and lighting setup and from the moment the show started our eyes were glued to the stage. The singers and dancers never missed a beat or note, the lighting was beautiful and the music fun and fabulous. 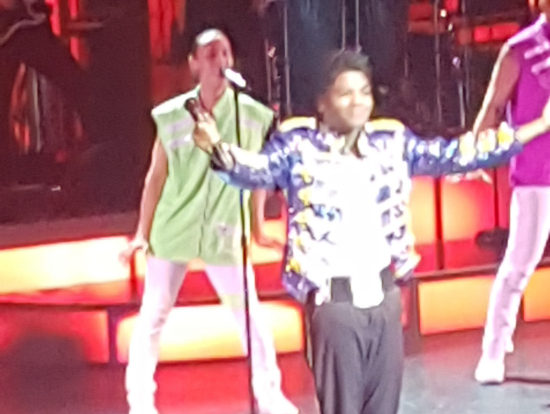 We enjoyed the range of pop performers throughout the eras with Elvis and Michael Jackson impersonators as stand out performers! Even at the meet and greet afterwards Michael was perfectly in character - when I asked him how long his show makeup took he replied in a wonderfully accurate voice "makeup? What makeup??" 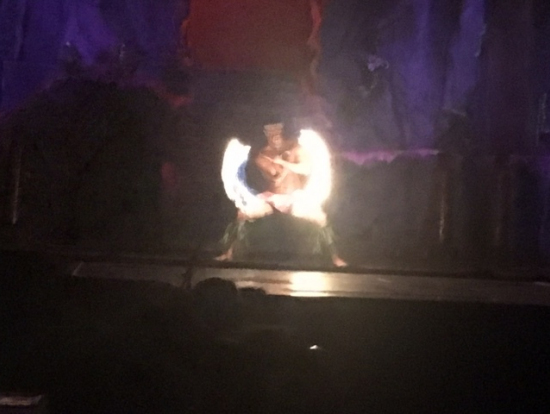 The fire dancer was also phenomenal with even bar staff remarking that they tried to align their breaks with his performance to go watch from the back of the theatre! Who needs to go to an overpriced louwow when you've got wonderful traditional hula dancers and performers right here. 5 stars - all round a phenomenal night and a "must see" for all visitors! 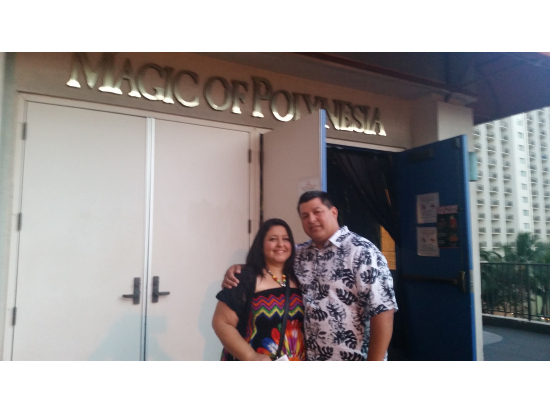 The show, Magic of Polynesia was on the most amazing shows I have seen. I would highly recommend it to others. 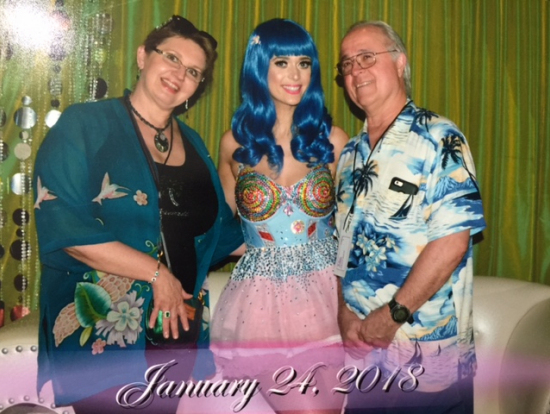 On Tuesday, November 29th, I was highly surprised when my dad said, “Would you like to go the show, Magic of Polynesia?” I said “yes, daddy!” My brother who is 5 years old and me who is 9 could not wait. Six hours later, we were at the show. A singer popped out of the curtains and sang songs that were beautiful love songs and was wonderful entertainment. He was an Elvis impersonator. One half hour later, John H shows up in the audience doing multiple sleight of hand tricks. They were amazing. He actually made 4 quarters turn into 50. Then all of sudden, curtains popped open and a guy (not John H) in a cage was on stage, and then one second later it was actually John H. Soon after, there were amazing dances and John H made a car, helicopter, and person (girl) fly. The car and helicopter vanished, and the girl became a shooting star. He engaged the audience and had audience participation. My favorite part of the show was when he made a tissue become a rose and tissue paper become snow. The snow came from his hand and spread throughout the audience. 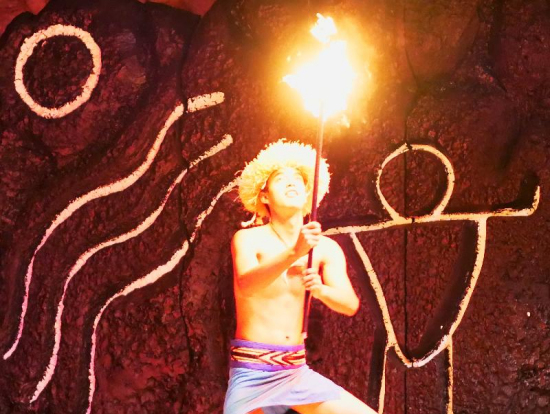 The show was full of not only magic but beautiful dances, including fire dancing and amazing food. If you want a typical Hawaiian luau this show is not for you. But if you enjoy music going as far back as the 1930's then this show is highly recommended. Most of the music was done by Elvis and Michael Jackson. The performers were great. The fire dance was great but was very short/limited. The performance was done indoors in a theater with theater seating which was great but again if you want to experience an outdoor luau this show is not for you. The location of the show is in the heart of Waikiki Beach on the 4th floor of a mall. We drove from Marriott Ko olina Resort which is about 20 miles away and took is about 45 minutes to get to the show. So if you are planning to come from the Ko olina/Aulani Resort area plan to drive for 45-60 minutes. There is ample parking to self-park. The parking is free for the 1st 3 hours with validation. After the show you can walk around in the area for shopping. The check in experience was great and was very fast. All the workers were very helpful and hard working. The food was simple, tasty and healthy, especially the curry fish. overall my family and I enjoyed this show and would recommend it to others. My family and I had a great experience and would recommend this show. 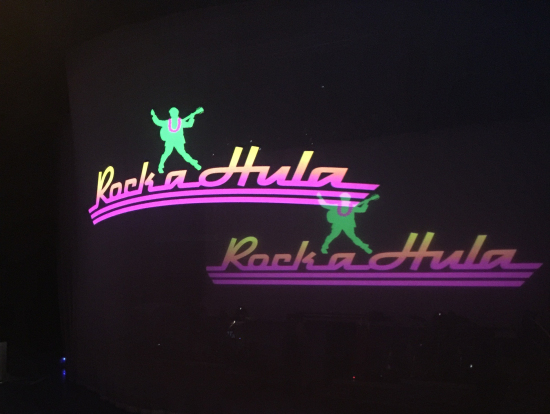 A Spectacular Night at Rock-A-Hula Dinner & Show!! Our evening started with a Buffet Dinner that has a very good selection of meat- that includes chicken, pork, beef & catch of the day, veggies, salad, fruits, dessert & drinks. It was a satisfying dinner with fun entertainment from the greeters who also danced before the guests. The staff are so attentive to our needs. They gave everyone enough time to enjoy the meal before heading indoor to the theater where the show is at. The seating & capacity is a good enough size for everyone to see the entire show without being left out. Plus, the performers engage the audience in their performance which impressed me and my husband a lot & made the whole show extremely fun! The choice of music, the performers talent (singers & dancers), colorful costumes & all the cast are awesome. Truly a night to remember! We especially enjoyed the Elvis Presley, Michael Jackson impersonators & the Fire dance are the highlight of our evening. Everyone is just so friendly. We ended the night with good pictures taken with the casts for the meet & greet. Great job to you all & keep it up! We will do it again for sure when we go back. We totally rocked out at Rock-a-Hula! 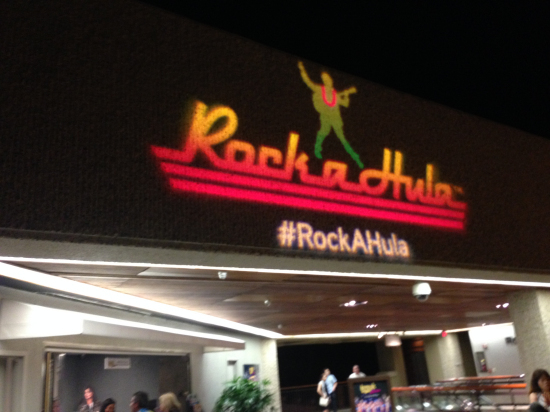 My friend and I had such a totally awesome night at Rock-a-Hula, and want to go see it again! We got the VIP dinner show, and it was fantastic. From beginning to end, we were treated like VIPs, and couldn't have asked for better service, food or entertainment. Our VIP seats go us close to the stage so we had an amazing view of the performance, and man was it awesome! 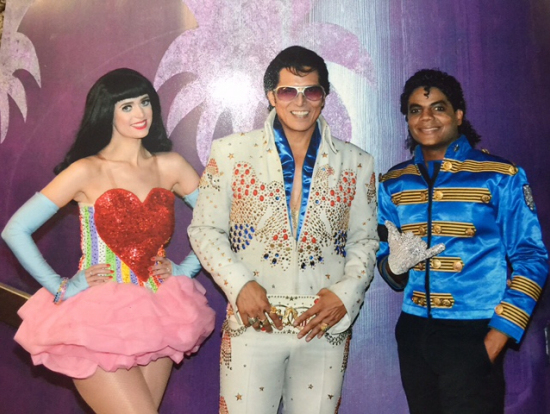 Elvis, Michael Jackson and Katy Perry, all on one stage for a seriously rockin' evening. The woman who played Katy Perry was my favorite! Not only did she look and sound exactly like her, but she was the sweetest person too! 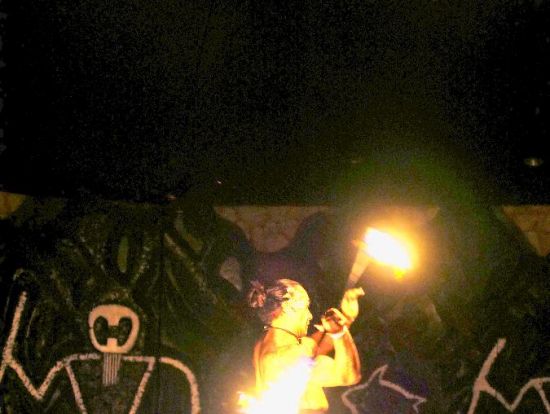 The fire knife dance was scary awesome, and the perfect topper to a great night. 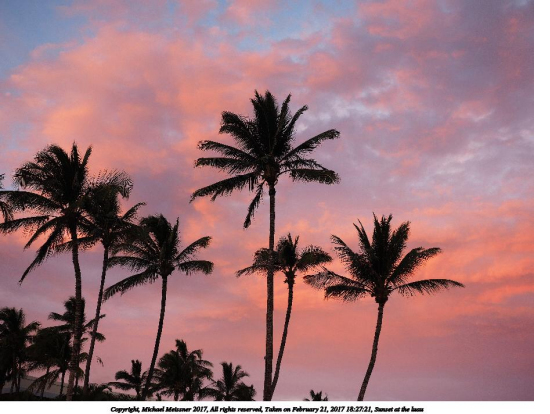 Perfect option if you just want a fun time in Waikiki! If you are contemplating going, don't think - just book it! Rock-a-Hula is by far one of the more entertaining shows here on Oahu. You can only watch so many luaus before getting sick of them. If you enjoy Vegas shows, this is on the same scale. Also make sure to book the VIP backstage package. It was definitely worth having the show producer show us the entire stage, meet and greet with the crew, etc. - especially if anyone in your group is interested in theater. The food was several times greater than what we ate at other shows that cost more as well, with a 4-course surf and turf. The end dessert was delic'. The entire staff was very professional and you could tell they wanted you to really enjoy their performance as they must put a lot of work making the magic happen. My mother in law thought Elvis looked more handsome than the real deal. The mannerisms of all the characters were spot on. 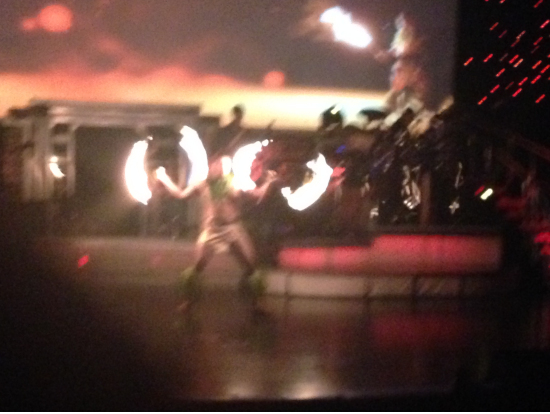 Bravo to the dancers, especially to the fire juggler. 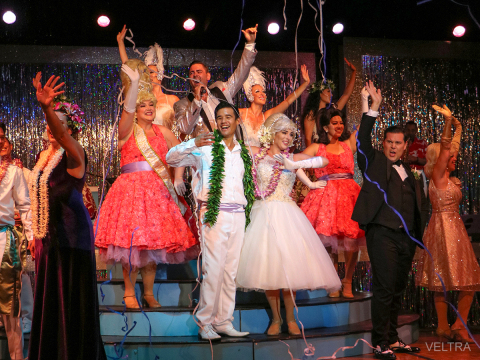 I especially enjoyed the incorporation of Hawaii's cultural aspects into the show for that local touch. Let me start by saying, I'm not easily impressed. From the start, with our pick up the staff was friendly and accommodating. Our pick up driver was on time. Being that we were also brining our small 9mo old we were ruining a few minutes behind yet, he kindly waited. We got there and were escorted to the theater. 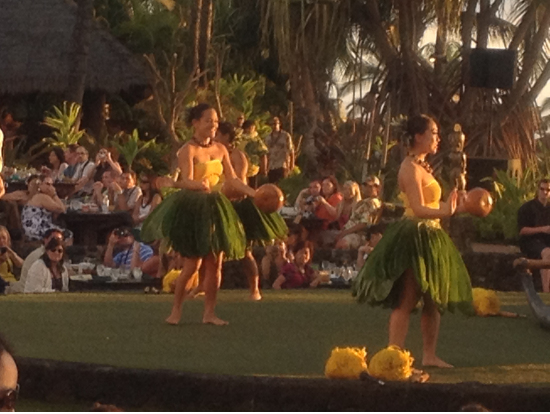 While we waited for dinner they put on a little show with hula dancers. Once we were allowed to enter the dinning area the staff all greeted us with smiles and genuine recognition. 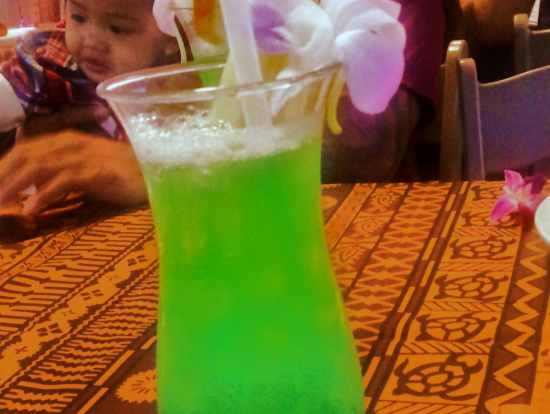 The drinks were delicious!! My husband isn't a fan of mixed drinks, but instead of his usual beer he actually drank two mai tais. We learned a few hula dances at dinner my son and I, that was my favorite.The food presentation was beautiful and very tasty, dessert my favorites cake, ice cream and cookies good for everyone's taste buds. 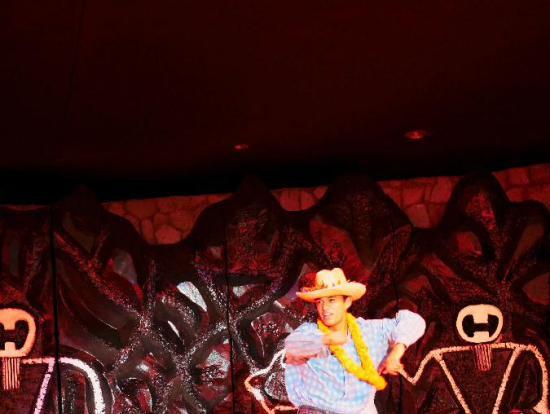 The show itself was a perfect mix of Hawaiian and traditional entertainment. I actually enjoyed the Hawaiian parts best. I would recommend to more of my family and friends to attend, I already have. They take great care of you! One of the very best shows, I've been to! Fantastic night - UNREAL - AWESOME!!! Enjoyed the evening from start to finish - loved the meet and greet, the food was great and the selection unbelievable. The entertainment at the dinner and the participation by those having dinner created a happy and enjoyable experience. Following dinner the meet and photo session with Katie got everyone off to a great start for the show. 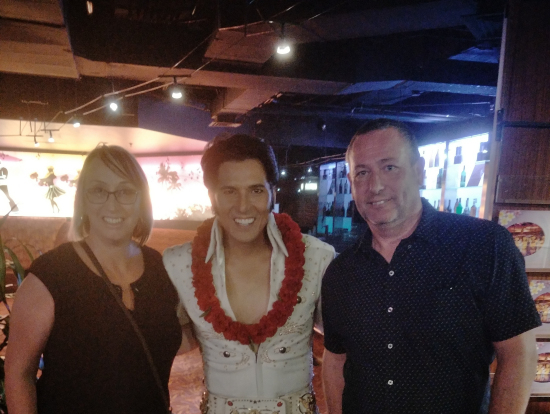 I am a mad Elvis fan and an Australian who has been to Graceland 5 times, I had photos taken with Elvis after the show and told him that I have seen many Elvis impersonators and he is the best by far. I loved the show and the added input of the Beach Boys who I also love. The added attraction of the films behind the entertainers was fantastic. The backing band also were tops and the Hawaiian dancers right up there with the best. 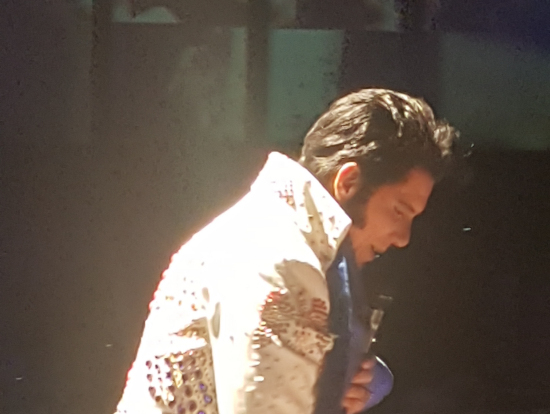 My personal favorite part of the show - Elvis for sure - he blew me away and the way he moved about the audience during the songs made sure everyone had a great time. Will make sure during our next visit I and my colleagues will attend the show again! We participated for Green room and got front row seats. The “stars” came off the stage and sang to me and shook my hand. “Elvis” comes so close that you can lightly smell his perfume. When they first come to the stage, you may think they are kind of chubby, but once they start to sing and dance, you will be amazed. It’s unbelievable that they are not lip singing. The stage equipment and audio system is great. During the performance, there is a video on the screen that shows the real star singing. The “star” on stage and the star on the screen come in sync and you start to believe that the “star” on the stage is real. Even though you don’t know the star, they will sing many popular songs old or new, so any generation can enjoy the performance. After the show the stars will be at the lobby, and they will give you autograph and take a picture with you. In my mind I believe that “Michael Jackson” was real to me so I got excited and screamed. 3 people find this helpful! when we arrived there was a traditional Hawaiian dance to greet us. we then went into the venue for appetizers, which were well presented and very tasty. when we went into the main stage area we could not believe the position of our seat. right in front of the stage. the meal was exquisite and all 4 courses were cooked to perfection. when the show started the production was amazing. it was choreographed like a Broadway show. the Elvis impersonator sounded great and really looked the part. When he went through the crowd during "Suspicious Minds" he kept laughing between lyrics, just like Elvis did in his live performances. a simple touch but excellent attention to detail. We also had a Michael Jackson performer who was also very good and entertaining. His 'Moon Walk' routine was spot on. Even the regular seating had great views so it doesn't matter which meal plan you book, just book it you will not be disappointed !!! A toe tapping show the whole way through! 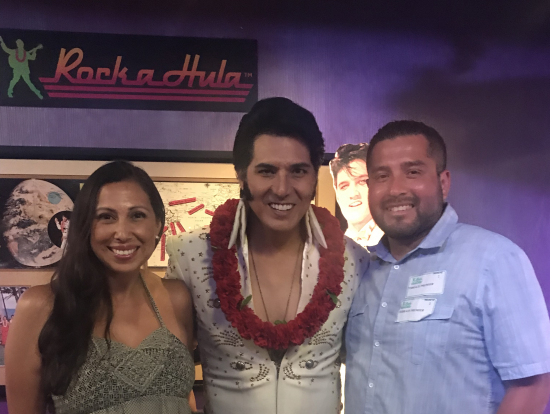 I really wanted to see an Elvis show while staying in Hawaii. I googled Elvis shows and this one had excellent ratings. We booked the Luau Buffet and show. When we got there we were taken to our seats. Everyone was really nice. They start everyone with a Mai Tai that was really good. We then started the buffet line. The food was great quality & really good. My husband & I enjoyed it very much. 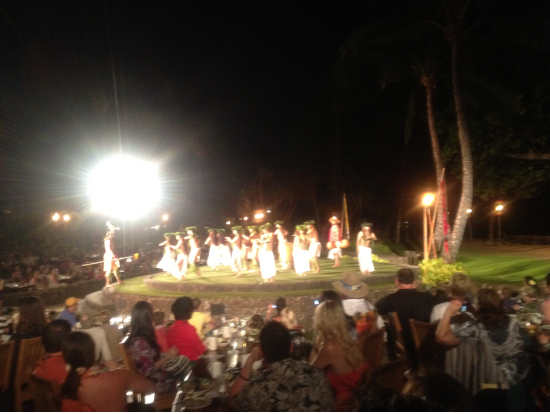 During dinner there was a little hula show. It was very fun to watch our server dancing! She was great! After dinner we were escorted to the theater. I was very surprised by the venue. It didn’t seem like it was very big from the outside but once we got in I was pleasantly surprised!! The show was absolutely amazing!! Each performer was outstanding. Every detail about the show was right on point; the band, the dancers, the choreography, the costumes, the singers and the impersonators!! I really enjoyed it! We loved that they also have a meet & greet after the show. I would recommend this show 100%!! Enjoyed more than I expected!! The show was very entertaining, we had so much fun! The staff were very friendly and caring. Since I have small children; they were always checking on us, made sure that my kids are entertained as well! The dancers were amazing too! I brought my entire family with me, my husband, and our children (ages 8, 6, and 12mos), at first, I had to think twice if I really should bring them to this kind of show but since they love music and they’re on their spring break too, I took them there anyway…and I never regret it! WOW! The show was outstanding! Michael Jackson had the real moves and never failed our expectation, it was so real! Steven Tyler looks exactly like Steven, performing in front of our eyes and his entrance to the stage was the best when he flew in a harness to the stage. We absolutely loved their performances that even my kids were dancing too! This show is definitely a great place to take your stress away! 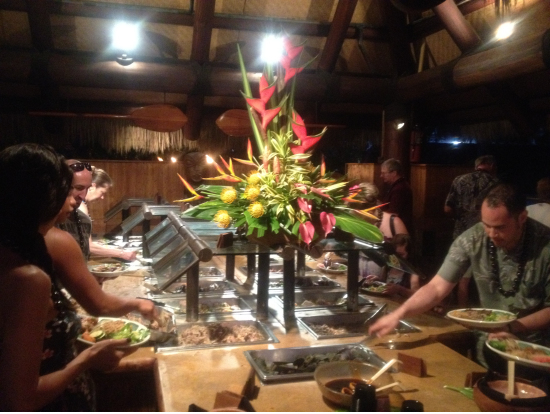 Dinner buffet at the Tree Top Lanai are very delicious as well. 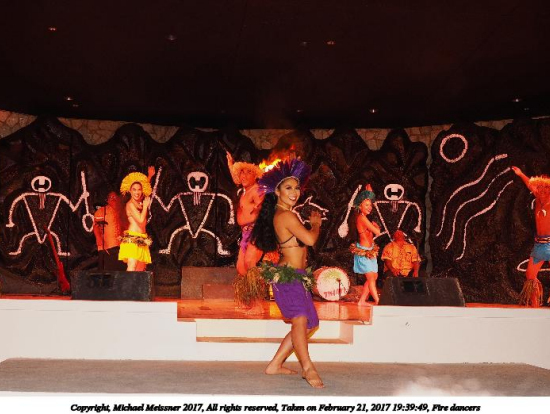 We went to the Legends of Hawaii Luau at the Hilton Waikoloa Village on the big island of Hawaii on February 21st, 2017, and we had a great time. 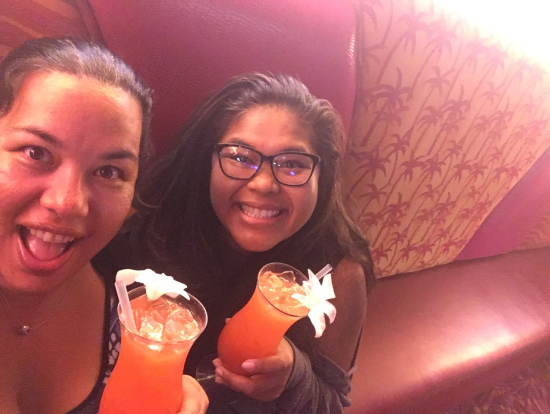 We were not part of a tour, nor were we staying at the Hilton, so we went with Ali'i VIP seating that included valet parking, table side desserts/appetizer/drinks, faster access to the food, and closer seating over the normal tickets. I think it was worth the extra $30 for the VIP seating. We were right in the front row, and had excellent seats. The show itself was great. In particular, we loved the fire dancers. Before the show, we could see part of the sunset in the sky with the palm trees. The only negative was before the show. Both me and my wife can only stand for a limited amount of time. After you check in and get the picture taken, it was something like a 1/2 hour wait until the doors opened. In the queue after the check-in, there was no seating. There was some (but not much) seating before the check-in. We went to Maui for our much needed getaway for our 5th year anniversary, and my wife was very specific about going to Old Lahaina Luau. She did her homework and made our reservation at least 2 months in advance. Yes, she's a planner! 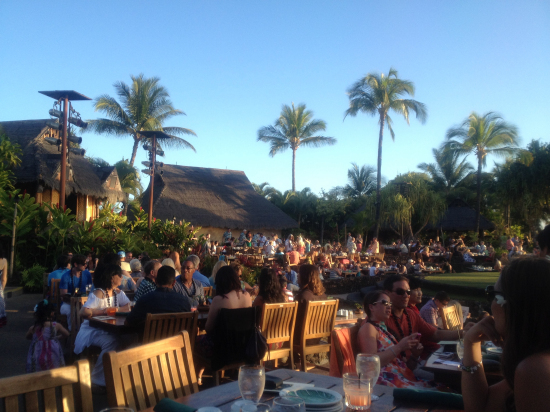 I've been to a luau on Oahu on our previous visit, but boy, Old Lahaina Luau exceeded our expectations. The sunset over the Maui ocean was spectacular, and the food and the entertainment was just top-notch. There was never a dull moment, and the staff was always around to ask you if we needed anything. We just loved these beautiful hula dancers, and they were very authentic. 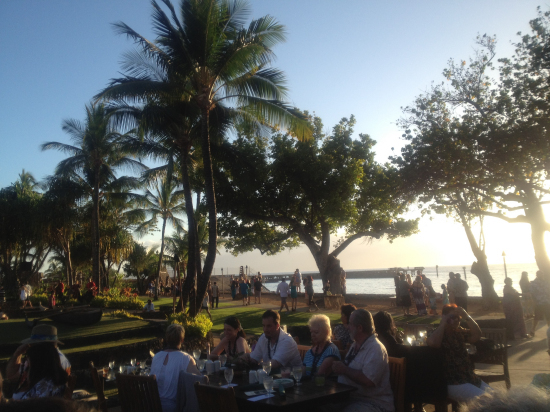 If you come to Maui, you need to go to Old Lahaina Luau. Don't expect to get a seat on the night of. I saw some people who just showed up without a reservation as we were checking-in, and nope, there was no seats for them. You need to make a reservation far in advance for sure, and it's so worth it.